Newbridge Preparatory School catering for girls, aged two to eleven years old and boys aged two to seven years old, is an exceptional place. Our purpose as a modern preparatory school is to offer an excellent standard of education for our pupils, balancing traditional values with cutting edge teaching and learning. Not directly linked to a senior school, we pride ourselves on being the only genuinely independent ‘Prep’ school in Wolverhampton. We are a small, personal school where everyone knows everyone – just like a family. We foster an environment in which children can grow in confidence, learning honesty, consideration, loyalty and openness. As we look to take Newbridge Preparatory School forward; we continue to nurture its many qualities and help it to evolve and embrace the challenges of the future. We were ranked 14th in the Top 100 Independent Preparatory Schools in the country. Such a fantastic achievement for a small Preparatory School such as Newbridge and it reflects the combination of both the individual attention given to each girl within our small school environment, plus the quality of teaching and learning which is strategically developed to maximise each girl’s potential. As Headmistress of Newbridge Preparatory School, I am committed to leading a positive, caring, well-disciplined and aspirational school. I believe in the importance of all aspects of education and measure success in the many varied achievements of all the children within it. Our school is where children are inspired to have dreams and aspire to achieve them. Please come and see for yourself. If you would like to book a visit, you will be made to feel very welcome. 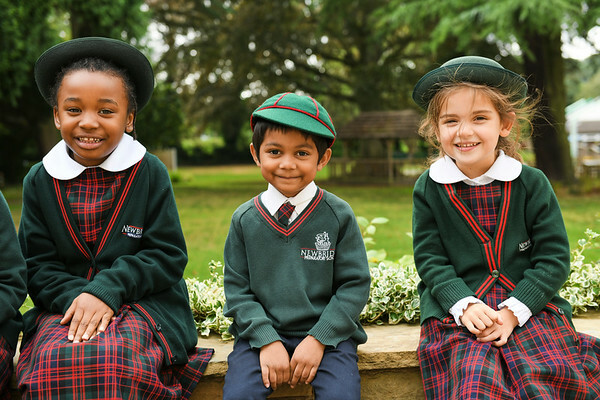 If you would like to consider a place for your child at Newbridge Preparatory School, the first thing to do is to contact us via the online contact form or telephone. We would be delighted to give you a tour of the school. Our Admissions Registrar, Miss Addison, is responsible for all aspects of the admission process and will be happy to assist with any questions you may have.